This system was visited for the first time on EDSM by Andargor on Jan 15, 2015, 4:31:00 AM. 3894 ships passed through Stuemeae FG-Y d7561 space, including 148 ships in the last 7 days. 38 ships passed through Stuemeae FG-Y d7561 space in the last 24 hours. 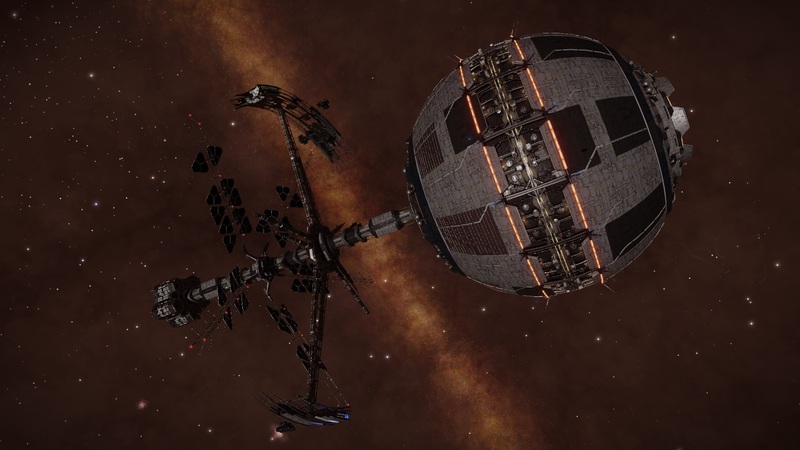 This station acts as an Exploration and Scientific research hub at the very core the Milky Way, just a few light years from Sagittarius A*. Warning: Stuemeae FG-Y d7561 is a binary star system. Commanders visiting the system need to be aware that its possible to exit hyperspace close to one of the stars. 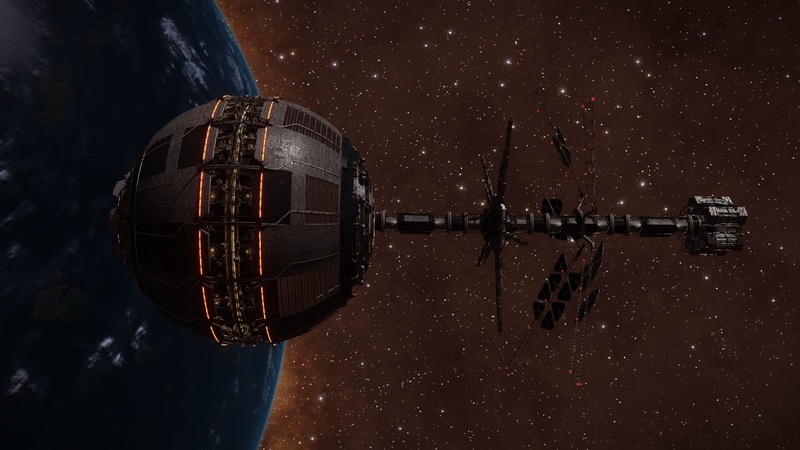 The station superstructure was constructed in January 3305 at the Omega Mining Asteroid base, with the Distant Worlds 2 starfleet making up the bulk of the workforce during the Community Goal. 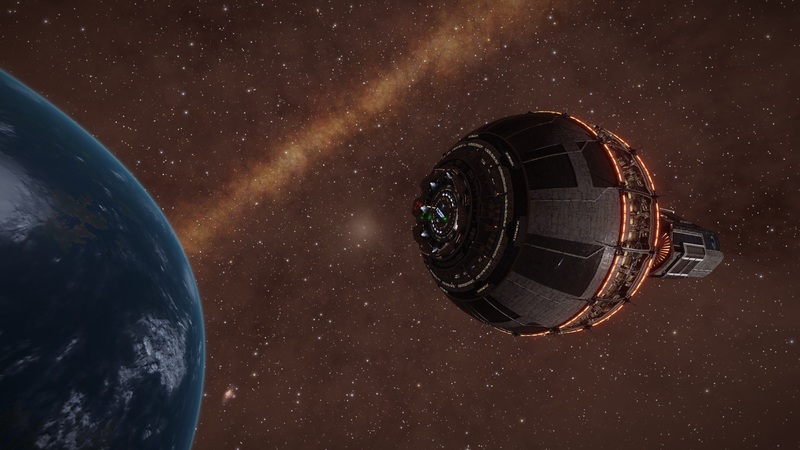 On February 21st 3305, the Explorer's Anchorage was deployed, with 5 stages of construction set to complete the station between Feb. 21st and Mar. 21st 3305. 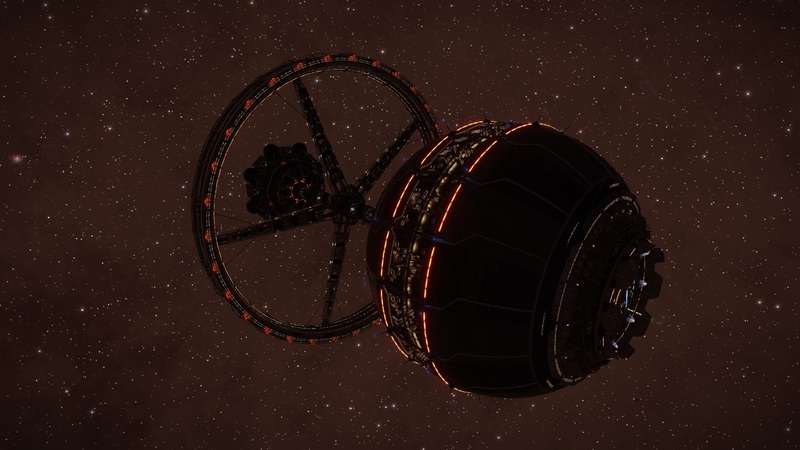 Mobile docking hub launched from Omega Sector VE-Q b5-15, arrives at destination site in Stuemeae FG-Y d7561. Services added; Commodities, Mission Board, Outfitting, Passenger Lounge, Refuel, Blackmarket. Thruster assembly removed, beginning of superstructure construction (solar panels, habitat ring support struts). Services added; Contacts, Repair, Restock, Universal Cartographics. Habitation Hub Superstructure construction begins. Habitation Hub Superstructure construction continues. Habitation Hub Superstructure construction complete. 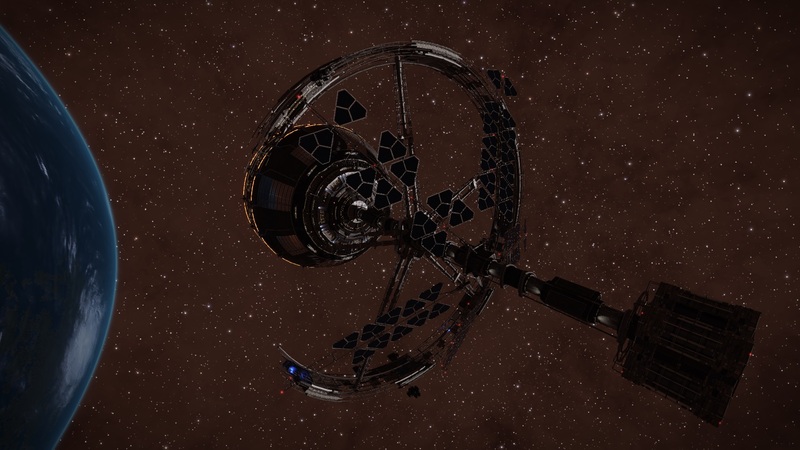 Starport becomes fully operational, providing all major services except a shipyard.